The 26-year-old Blade Runner was seen kayaking yesterday morning at Hermanus’ Old Harbour with three unknown male friends. The murder accused was seen “chatting briefly with the men before they launched their kayaks into the ocean. He looked relaxed, wearing flesh-coloured prosthetic legs instead of his trademark carbon-fibre blades, a life jacket and board shorts,” reports the Daily Voice newspaper. Oscar has been spotted numerous times after the fatal shooting of his girlfriend, this after his family released a statement saying he’s been praying for and mourning Reeva every moment of the day. He was spotted twice in April, first at a private party at the Kitchen Bar restaurant in Fourways then later in the month training in his carbon-fibre blades at the University of Pretoria. In June he was also reported to have visited an Audi dealership in Rivonia twice with an unknown woman to purchase an Audi R8. Oscar is out on R1 million bail awaiting trial for a charge of premeditated murder for the killing of his girlfriend, Reeva Steenkamp, on Valentine’s Day. 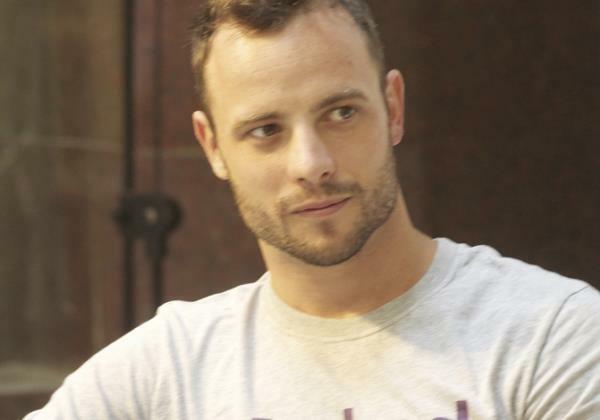 His next court appearance will be on Reeva’s birthday on 19 August.